What starts as the story of four friends in a standard post-college, New York City setting, becomes the tumultuous journey of Jude’s life. Abused and crippled as a child, Jude finds some measure of redemption through his friendship with Willem, JB and Malcolm. The after-effects of trauma are balanced against the power of love and kindness so that each page is wrought with emotion. It is exhausting, heart breaking, and utterly unforgettable. 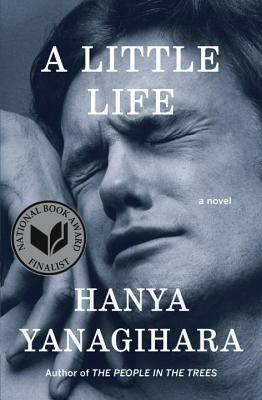 AS: As a reader, “A Little Life” was emotionally exhausting. On one page are the horrendous details of Jude’s past, and on the next are the kind, loving gestures of his friends. It’s been a few months since I finished and I still feel occasional pangs of anguish. How was it writing “A Little Life”? How has it left you? HY: Writing this book was exhausting in every way. It was physically exhausting: I only wrote at night, except on the weekend, when I wrote during the day, and remember feeling punchy and light-headed and sleep-deprived the entire time. It was mentally exhausting. And mostly, it was emotionally exhausting. And yet, of course, it was also exhilarating. I’d never had a writing experience quite like the one I had with this book, and will likely never have another. It’s a healthy thing in many ways, but as any writer knows, there’s something flight-like when you catch the right current and just find yourself gliding: you know exactly where you’re going, and the only problem is that you can’t type fast enough to get there — it’s a rare and precious sensation, and you cherish it even as you feel trapped by it. Certain sections are connected to certain moments and places; for example, I wrote the entirety of the Dr. Traylor section in a single night. I was in Japan, on my annual late-fall trip, and had checked into an airport hotel near Haneda because I had an early flight the next morning. I’d already written so much on that trip (it was a pretty bleak vacation, actually), and yet I was unable to stop myself: I sat in that sad motel and wrote all night. Leaving the world of this book has been more difficult than I anticipated as well. For months after I finished it, I was still writing scenes (not literally, but still imagining them), still thinking of Jude and Willem and their life together. I was surprised — and a little frightened by — how firmly the book held me in its grip. Writing a book like this demands that the life you create becomes more real and urgent to you than your own life, but then it’s over and you’re left without a road map home. HY: I suppose I’d always had these characters in my head. Jude in particular took a few different iterations: I always knew who he’d be at his core — a character who’d spend his entire life hopeful, but who is ultimately unable to advance past his childhood in fundamental and necessary ways — but the form and accessories of his life, if you will, changed over the years. I’d planned one version of the book that was two novellas: the first would be Jude as a high-functioning adult, and the second, which’d be first-person, in his voice, would be a version of him as someone who lives on the margins of society. The third section, the coda, would be the story of his childhood. I’ve always been interested in how people respond to trauma, especially childhood trauma. Some people do so without any apparent after-effects; some people are so visibly damaged that their past seems to announce them. But everyone pays a price, though the price is different from person to person. I never thought of Jude as an answer to Norton, but I did think that the book is, in some ways, a response to that book: one is in the voice of someone who corrupts; the other is from the perspective of someone who suffered at the hands of that power. But that’s very reductive, and of course not the entire story of what the book is. AS: I’m loathe to define a central theme because, as you say, picking apart the pieces is reductive. While that’s true of any book, it feels especially true for “A Little Life.” And yet, here I go. The importance of friendship, its absolute necessity, was what I ultimately gleaned from the novel. Jude sees himself as the type of man whose past announces him while his friends view him as a champion, having not only overcome his past but (outwardly) triumphed in the present. Oh, Willem! How did you capture that essence of male friendship? As a woman who has always been part of a core of girlfriends I found the four men mystifying, simultaneously too good to be true and distinctly real. HY: While the details and circumstances of these characters aren’t based on anyone I know, Willem — his kindness and his constancy; his unerring sense of decency — is based somewhat on my best friend, who’s a man. Certainly I would never have been able to write Willem had I not been friends with him first. I of course thought a great deal about the different ways men and women are friends (with each other, with one another) while writing this book. My own female friends tend to be a fairly flinty group, unsentimental and brisk. They’re kind people, all of them — an underrated virtue, but the best — but tend not to indulge me too much, which is probably a good thing. My male friends, however, do. They’re not physically demonstrative, or even particularly affectionate, but they are, in the best ways, loving: patient and steady and inquisitive and forgiving. Male friendship — its specific language and unique durability — was something I’d long been fascinated by, in part because my father had such close male friends while I was growing up. They tended to be very smart, searching men, mostly single, mostly childless, and I liked watching him around them, how he became somebody else. I once told him I thought that men–whether gay or straight–truly prefer the company of other men, and he said he thought there was some truth in that; certainly he seemed to relax into some other part of himself around them. One could sense the fundamental comfort they took in each other, and on a basic level, that was what I tried to capture in “A Little Life” as well. AS: You’ve delved into so many of your fascinations in “A Little Life” — are there any other subjects you’re eager to explore? Perhaps in a future novel? HY: Well, I’m not working on anything now, but I’ve always wanted to write a book set at sea. It’s like writing a book set in New York: eventually, everyone (well, not really, but it seems that way) toys with the idea of creating a novel set on a ship. I suppose it’s because it’s fascinating to invent the microsociety that forms whenever you drop a bunch of people who’re united by only a single shared interest into a highly contained setting: it’s the same appeal of writing a book set on an island, or in an office building. The added attraction of a ship, of course, is that first, you’re on a journey towards something else, and second, there’s no escape. I find those kinds of constraints fascinating. I’d also like to write a novel about American imperialism. 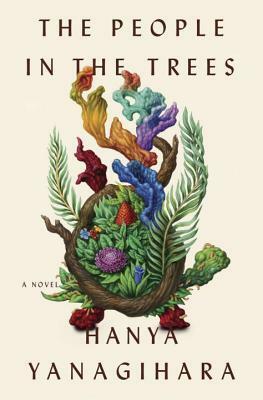 I do think “The People in the Trees” was, in some way, that novel, but I don’t think I’m done with the subject. AS: Whatever you do write next — though I have to say I find novels set at sea irresistible — we all look forward to reading it! I don’t think any book has ever been as universally loved by our staff as “A Little Life.” Thank you so much for taking time to talk with me. Is there anything you’d like to add before we say goodbye? HY: The only other thing I wanted to say is that I am so touched, honored, and humbled by everything the indie booksellers — and Northshire in particular — have done for this book. I used to work in book publishing myself, and I know that bookseller enthusiasm is the thing that makes the house sit up and take notice: it’s made all the difference for “A Little Life,” and I am so grateful, daily, for your passion and advocacy. So thank you: it means everything.